House mice are in the top 5 most common pest in and around residential homes. Mice infestation is not getting better, but worse. 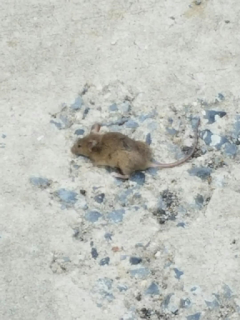 Why are mice such a problem in both urban and suburban areas? One main reason is their ability to breed rapidly, for example, according to the National Pest Management Association under their very informative Field Guide, mice reach sexual maturity in 35 days. They're ready to mate when 6-10 weeks old. How long is pregnancy? an average of just 19 days. The average litter size is anywhere from 5-8 mice. This means that a female mouse can have a new litter of mice about once every 40-50 days! Other facts are that mice can climb very well, and can run up roughened walls with ease. Its no problem for them to run up the sides of brick or concrete exterior walls and into a cracked or open window. They too can run across ropes and wires easily, even upside down. They can jump up at least 12" high and without injuring themselves jump down 8 ft. Mice can even fit through holes no bigger than a quarter. Outside mice adapt very well, even thrive. They can be found quite abundantly in open fields living in burrows, vegetative debris and hollow trees. Because they're nocturnal by nature this allows them to avoid predators like birds and stray cats. They also make their homes in yards making their way into garages, stored firewood, old unused vehicles and broken concrete slabs. They can also survive extreme temperatures. With all these above mentioned abilities, how can mice infestations be prevented in residential homes? Like humans, mice want to be warm and sheltered from the dangers of the outside world. To prevent mice from invading your home and even your outside property, start with a thorough inspection. Mice thrive in clutter as do most pest. Keep your yard clean from vegetative debris, and unused stored items. If mice can't hide from their predators they're least likely to come on your property. Keep garbage cans clean, tops securely fasten and garbage off the ground. Do you have pets? If so make sure pet food is not left out as this will attract not only mice but other pests like raccoons. Feeding birds also attract pests. If feeding birds, clean up all bird seeds from the ground, seeds are one of mice favorite diet. Now take a look at the structure. Are there any repairs or replacements to be made? For example, does the door close properly and securely? Remember mice can fit through openings as small as a quarter. Is the threshold in good condition, set firmly and securely in place? 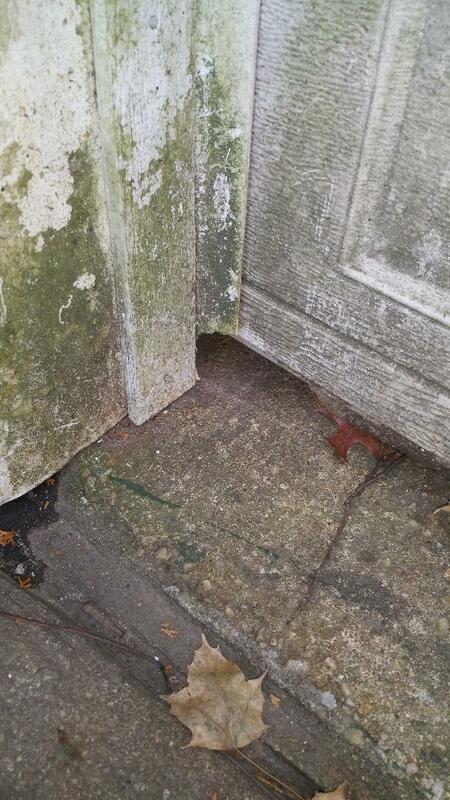 If there are spaces between the ground and threshold, mice can easily squeeze through. Do you need a door sweep,or does the one you have need to be replaced? Door sweeps are designed to keep pest out. If you see any daylight around the perimeter of your door, it needs to be corrected. Take a close look at any plumbing penetrations on the exterior walls, examples are HVAC lines and/or water faucets. Are they caulked or sealed properly? These are one of the main areas mice enter homes. Do you have a crawlspace? Make sure the crawlspace door and openings have metal mesh installed. When it comes to garages, especially attached garages, it's important to make sure the garage vehicle door is in good condition and closes properly. Just as important are the components on the garage door such as the weatherstrip at the bottom of the door. It's not uncommon for the weatherstrip to go unnoticed, but it is often in bad shape and in need of replacement. The picture to the right shows how mice are entering this house because the weatherstrip has deteriorated leaving an opening in the corner. Creating an environment that is unsafe for mice and their search for food unsuccessful are key ways that will help you keep your property inside and outside pest free.